Interested in deejaying? In these sessions led by @dj_bowlcut you'll be introduced to the faces & places key to Korea's electronic dance music culture, plus learn how to make your own live DJ set! 100,000 w for workshop BEST!!! ★ Sessions are conducted in English! Payments will be processed at the beginning of each session at the 2nd floor of SJA! No AUX cord deejays here! In this 6 hour intensive group workshop led by DJ Bowlcut you'll learn to mix a variety of popular genres from K-Pop, K-Hip-Hop to House, Techno & more. By the end of the session you'll be able to:1.Source music from digital & analogue platforms. 2.Use essential software and hardware. 3. Understand the variety of genres and their structures. 4. Identify preferences & build playlists. 5. Practice beatmatching, pitch control, looping, EQ control. 6. Make a live mix! Workshop participants are also invited to come party with us at bar 232 Seoul later in the evening!! In this lecture led by DJ Bowlcut & special guests you'll learn about how electronic dance music & culture began in South Korea and how it evolved into today's form. Follow Makers. on Instagram & Facebook! Seoul Jazz Academy (SJA) is South Korea’s leading institute of contemporary music, founded in 1995. 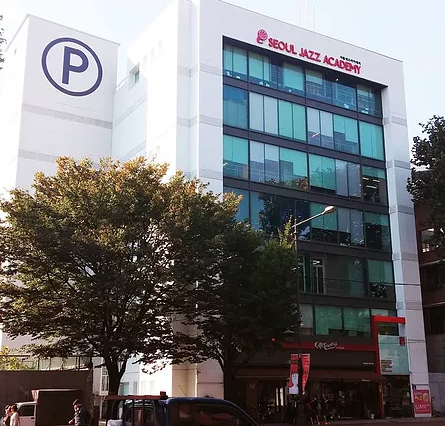 The institute holds varied titles including, being the first applied music institution in Korea and the one and only institute affiliated with Berklee College of Music in South Korea.